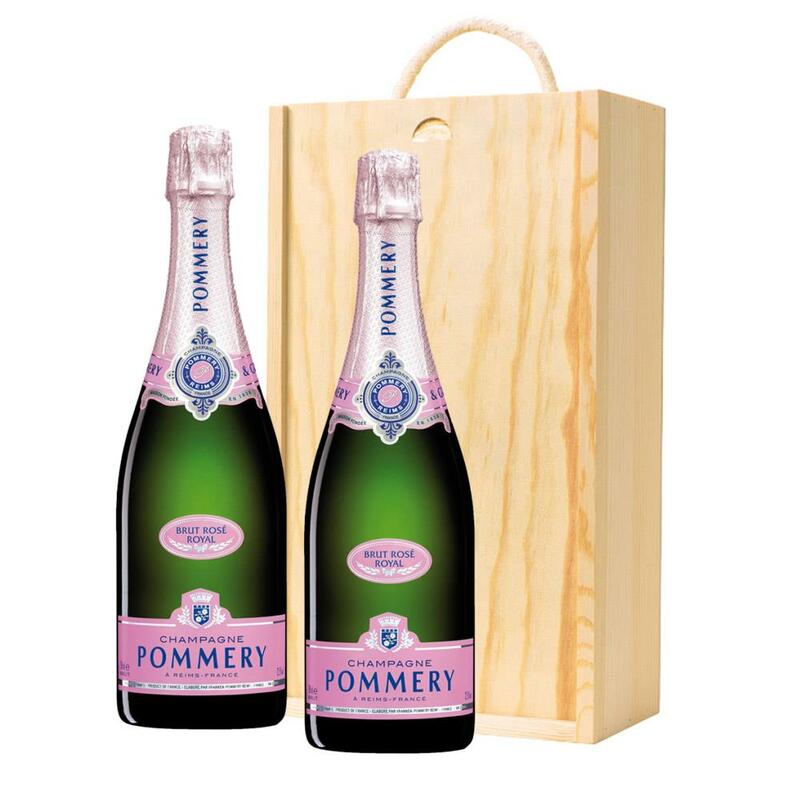 A Wooden Gift box packed with a duo of Pommery Rose Brut Champagne 75cl Champagne. The supplied in a wooden timber case, lined with wood wool. This rose is a faithful variation of classic Pommery Brut Royal created through the assembly of a red wine made with this in mind, and different wines vinified in white, within a greater proportion of Chardonnay. Sustainable wine growing is a collective approach operated in Champagne since 2001. It was introduced following a standard written by the ?Sustainable wine growing in Champagne? inter-professional group and vineyard self-diagnostic. Major environmental protection efforts were undertaken, in several areas, such as soil work, vine management, waste management, vine protection products, etc. This product is hand packed onsite by Gifts International, and is not affiliated with any other brand. Gifts International is responsible for this product combination/set.